A historic achievement for the franchise of Reyer Venezia that got the qualification to the Italian League finals for the first time since 1944! Reyer Venezia had to hold off a strong comeback attempt by Avellino in order to prevail in Game 6 of the semifinals 84 – 83 on the road and advance to the title match-up after winning the series 4-2. Avellino was trailing 58 – 72 in the beginning of the fourth quarter but fought back to make it a one-possession game 78 – 81 with 45 seconds remaining. Yet their opponents remained ahead and celebrated the victory and the qualifications to the Finals where Trento is waiting. 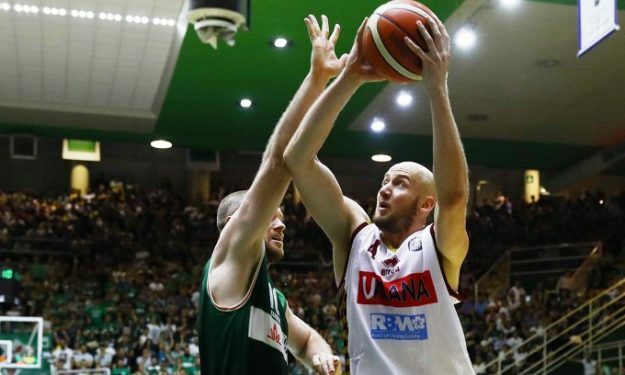 Hrovje Peric was once more the top scorer of Venezia with 21 points while Esteban Batista and Marquez Haynes dropped 14 points each. David Logan finished with 20 points and Joe Ragland added 18 for Avellino.